This is a place where undoubtedly yuo will have a nice stay and memories will last forever. Villa Trópico features cozy cottages located in a peaceful and quiet environment surrounded by nature and the beach. 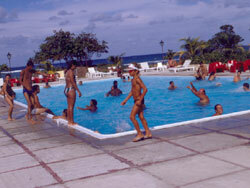 No reviews for Villa Tropico Venta Club (Cameleon Villa Jibacoa) yet.